Compared to a nice long career? Plus, when he had the chance to stand behind his word he took the money and ran. I don't know what the price of a reputation is but it's clearly less than whatever the NFL paid him. They didn't collude to keep him out of the league, unless you consider refusing to hire someone who is extremely bad for business collusion. The guy is a tool bag of the highest order and got what was coming to him imo. I've owned 2 Dells over the years and they were the only computers I've ever owned that had stuff break on them. Absolute garbage machines, and ironically they were the most money I've ever spent on computers. I will never, EVER buy a Dell again for the rest of my life. Alienware I think has always been incredibly overpriced but simply being owned by Dell now is enough to ensure that I personally would never touch one of those machines either. Anyway, I built my current machine several years ago after buying all the parts off newegg. It's the first time I've done it and I'll never go back to buying pre-built machines, so yeah I'd definitely recommend doing it yourself. GPUs are a bit of a bugbear still because the stupid bitcoin miners buy them up and make the prices insane. The dual GPU SLI/Crossfire stuff is kind of a fad I think but even if it wasn't I think the bitcoin nonsense would make it unaffordable anyway. A top of the line card will probably run you $1000-$1400. Lastly, I do have the items I need wish-listed on newegg so I can watch the prices but I have a feeling I won't be buying anything until the black friday/cyber monday sales next fall. It seems like the only time you can get things at decent prices. I watched this recently as well. I thought it was a great movie but I'm a fan of Mads Mikkelson anyway and I'll watch just about any action movie I stumble across. Ultra-violent though for sure so this definitely might not be for everyone. Picked up a pair of 43" 4K monitors for my desktop and tried to play some games on the new settings. Like I figured I'll need to upgrade a couple other things to make things playable on max settings at 4K. Ha Anyway, picked up a bunch of games during the holiday sale on Steam. Galactic Civilization 3 is as fun as I hoped. Stellaris is interesting. Divinity: Original Sin is a solid RPG. There are several more I haven't even touched because I know they'll be unplayable at 4K. Exactly, which is why I couldn't understand how this case wouldn't be a walk in the park for the NFL. There must have been something in the CBA/NFLPA that gave him just enough footing where the NFL couldn't tell him to pound sand. Haha, this guy is exactly the douchebag so many people thought he was. Nice. I would have went with a 2080 TI over the 1070s actually, but the rest looks solid. I'd try Deus Ex: Mankind Divided if you want to see a great looking game that takes some power to max out. Yeah it is. I picked up a bundle for Darksiders 1 and 2 on Steam for like 5 bucks a few years ago and was amazed it was that cheap. Such a great all-around series. 1981 silver 2-door Dodge Champ hatchback. Grandparent's car but he never drove it so it was a loaner for my last couple years of highschool. Chick repellent car. Picked up a couple games during the steam sale. Warhammer 40,000: Space Marine, and Dragon's Dogma. Both games are a bit older now but are entertaining. Dragon's Dogma is what Skyrim should have been like. Is it too much height in my shot a good thing? Well, I'm obviously doing something wrong... Edit: Or maybe not, I guess it's hard for me to tell where a 4 iron peaks since it's a ways out there, or at least further than a wedge. I almost impulse bought one shortly after I started playing but then I learned about the markers and flag colors and got around fine on those things. 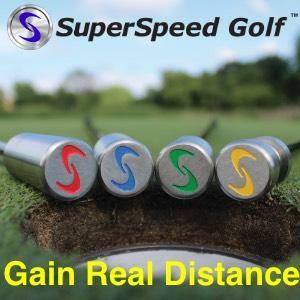 I wouldn't mind having one now for courses that are poorly marked and for checking yardages after I hit my shot but the cost is just too high for fluff things like that imo. I'm not saying you're bragging, or lying, or anything like that. I simply think there are very few good ways of measuring yardages out there. I think a lot of people resort to eyeballing it or referring to simulators or don't fully account for weather or terrain or some other thing and all of that stuff adds up. Like I said though if you hit it that far then I would simply work on aiming.